Today, Tuesday, June 28 Pat Summitt passed away after a courageous battle with early onset dementia ‘Alzheimer’s Type’. As a University of Tennessee alumni, the news of Pat Summitt’s passing feels personal even though I never even met her. Her impact on athletics, her players, her school, and her community can hardly be put into words. “You win in life with people.” This statement has stuck with me today. It’s a powerful reminder of what truly matters in life. While Pat Summitt’s accomplishments are impressive, it is the priority she put on relationships that has had the greatest impact. 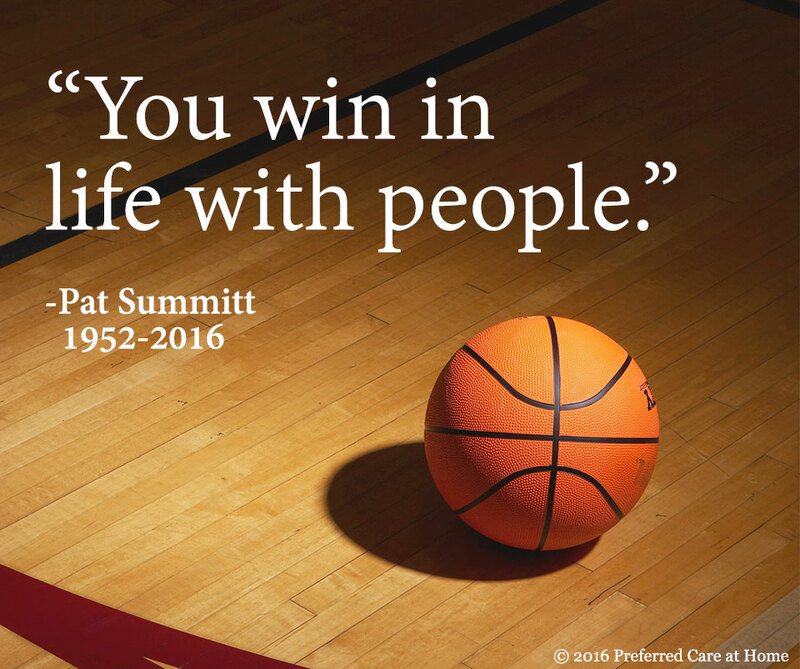 So today and everyday, let’s take a page from Pat Summitt’s playbook and remember: You win in life with people.